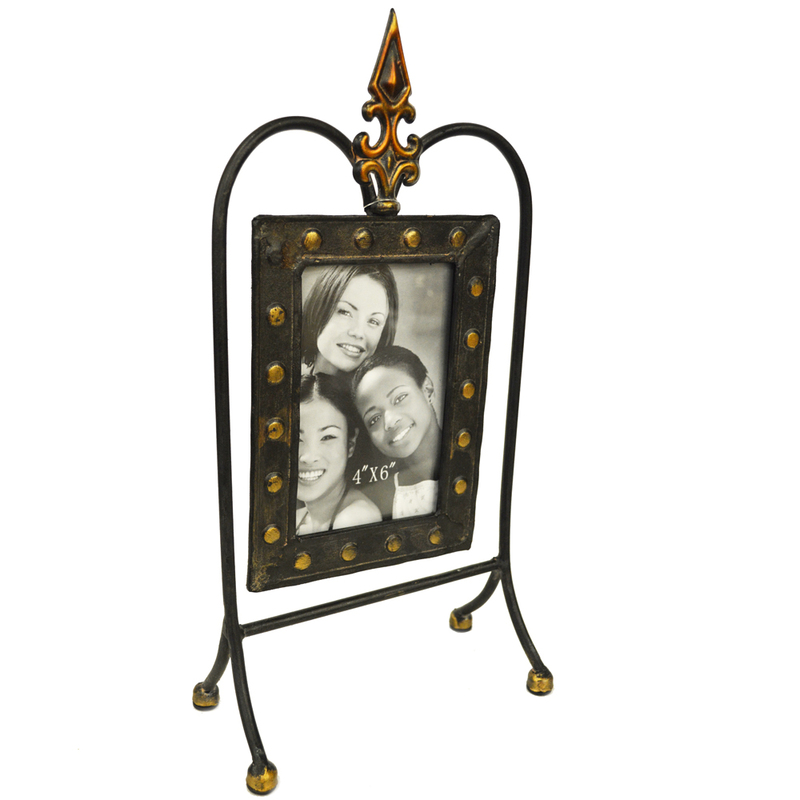 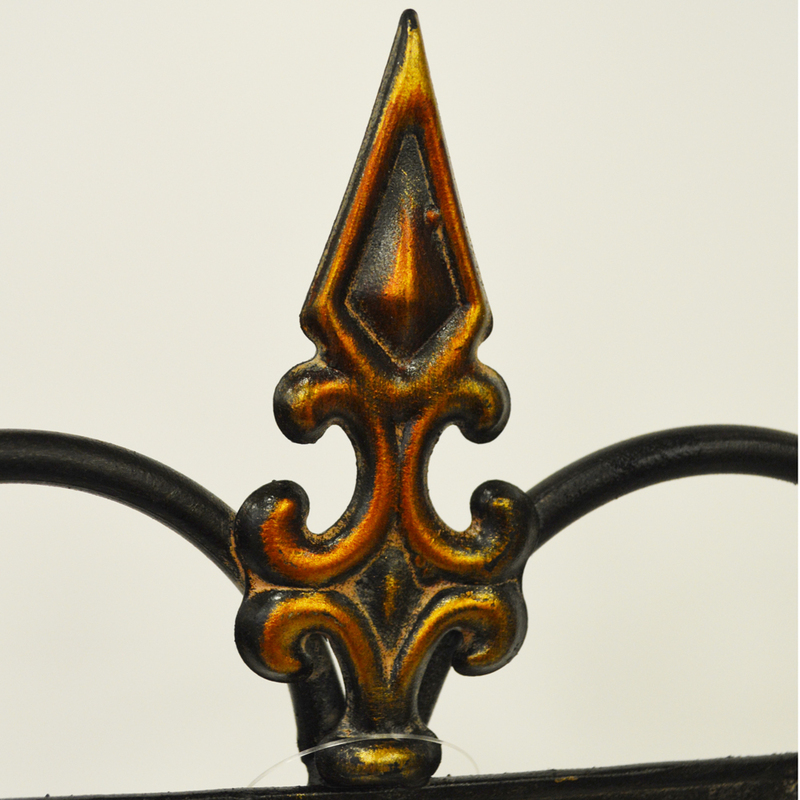 Decorative free-standing photo frame in traditional Tudor design and made from metal. 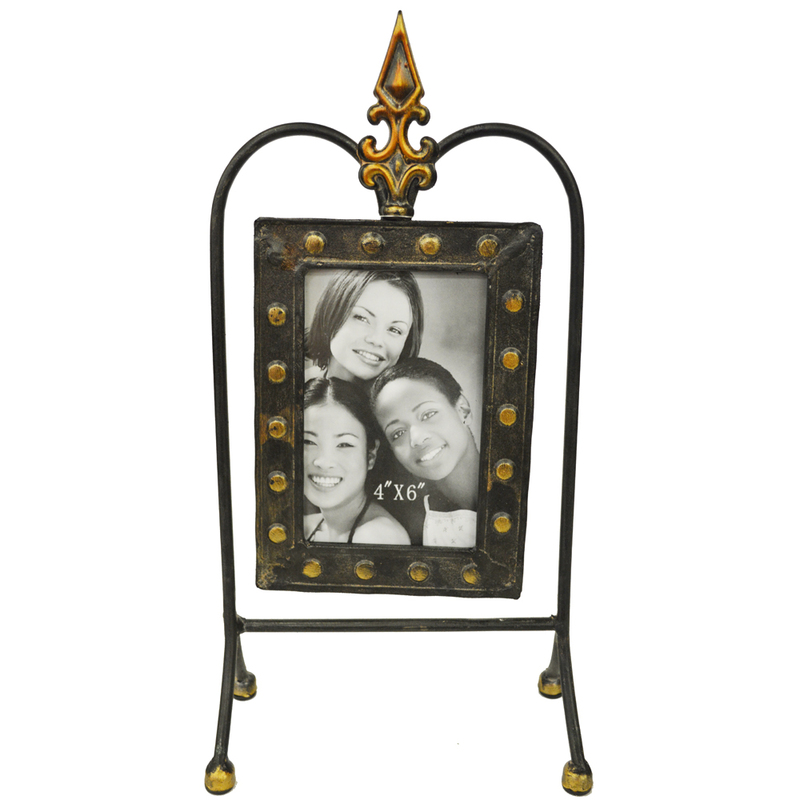 Frame holds a 6 x 4 inch photo (10 x 15cm) and is black highlighted with bronze painted accents. 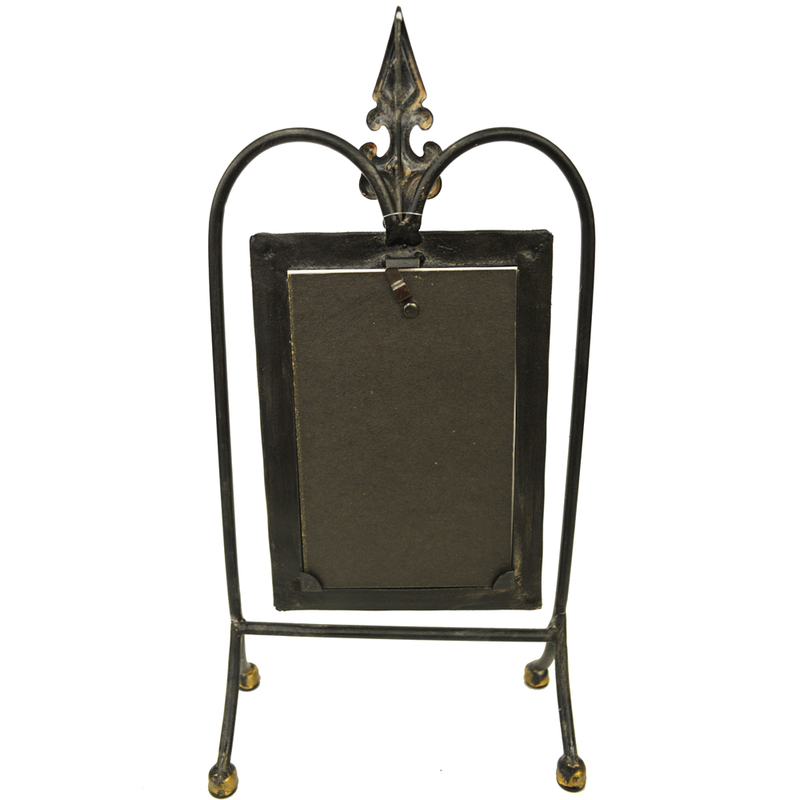 Excellent Gift idea.